Jalapeno poppers are one of my all time favorite appies. 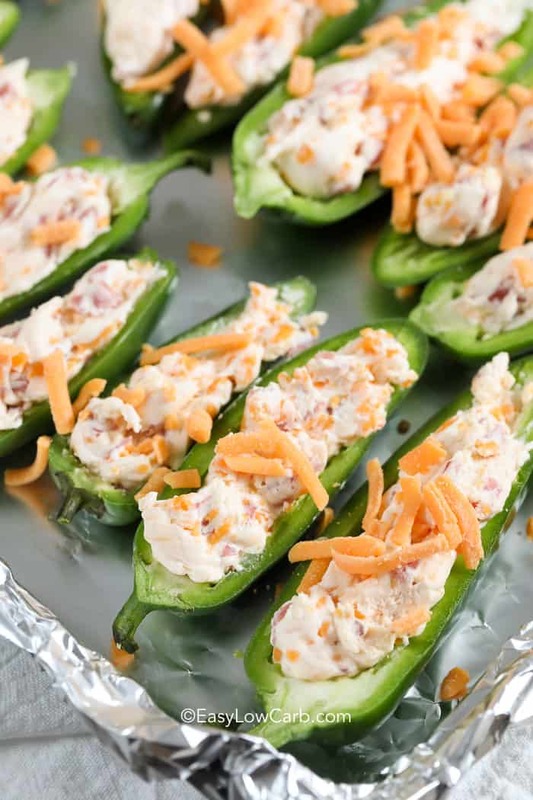 Fresh and flavorful jalapenos are stuffed with cream cheese, cheddar, and bacon then baked until hot and bubbly. 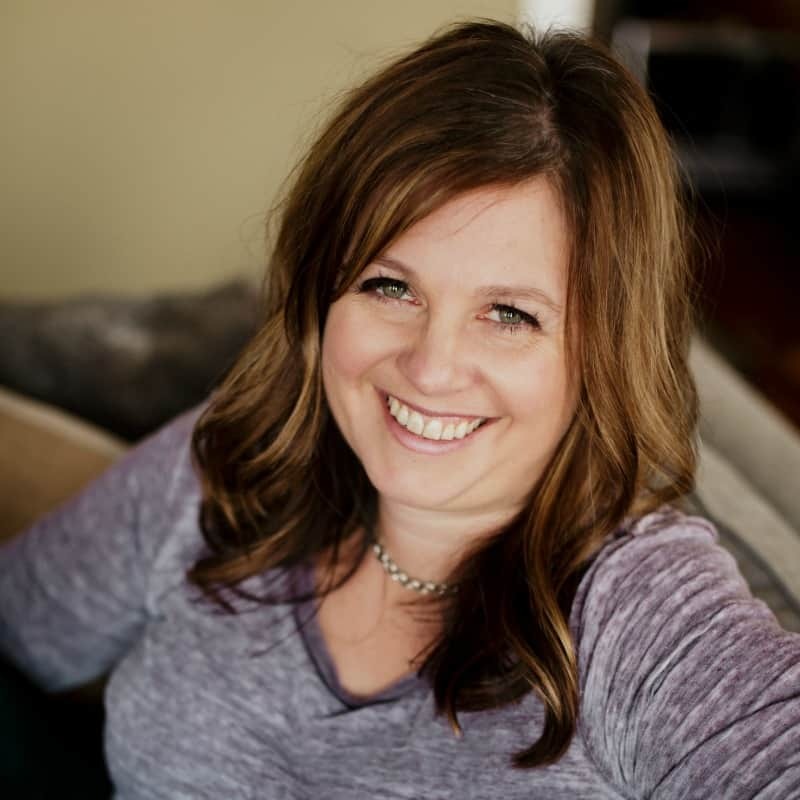 I love serving up jalapeno poppers whenever I am throwing a party or potluck, they are most definitely a crowd pleaser! I serve them alongside some buffalo chicken dip the perfect keto or low carb party spread that makes EVERYONE happy! Jalapeno Poppers are usually breaded and fried but this easy recipe is made without breading… and they’re baked in the oven for an easy mess-free appetizer! I love them in the oven but I also sometimes turning these into bacon wrapped jalapeno poppers rather than adding the bacon into the cream cheese mixture! To do this, omit the cheddar cheese, wrap in bacon and bake. Make sure you place the jalapeno poppers on a cooling rack on top of your baking sheet to drain the extra bacon grease while they bake! If needed, broil on low at the very end to crisp up the bacon! Start by putting gloves on, I am not kidding. I eat a lot of jalapenos and skipped the gloves one day, and I ended in a lot of pain. Next, slice the jalapenos in half, use a spoon or a melon baller to scoop out all of the seeds and membranes (or leave some of the membranes/seeds for more heat). I am going to let you guys in on a little secret, if you want extra fluffy filling in your jalapeno poppers, use an electric mixer to whip your cream cheese before you add the rest of the ingredients. Once your filling is all ready to go, spoon it into the jalapeno halves. Make sure you don’t overstuff them or the filling will fall out of them while they bake! 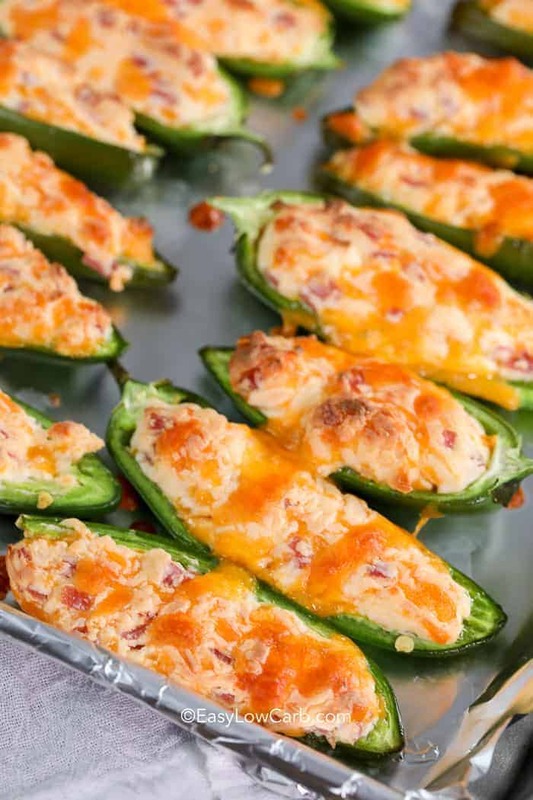 Sprinkle your remaining cheese over the poppers and stick them in the oven until the jalapeno is tender and the cheese is melty and delicious. 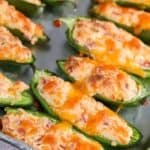 Allow them to cool a few minutes, the filling in these jalapeno poppers is hot! Jalapeno poppers generally take about 20 minutes in the oven, depending on how many you cook and how full they are. You want to aim to have your jalapenos somewhat tender while the filling is all hot and bubbly. Jalapeno poppers can be prepped in advance and kept in the fridge overnight. If you need to prep them further in advance, you can freeze them and bake from frozen! Just adjust your cooking times accordingly. Preheat oven to 375 degrees. Line a baking pan with foil and set aside. Wearing gloves, slice each jalapeno in half lengthwise. Remove seeds & membranes and discard. Mix remaining ingredients in a small bowl reserving 1/2 cup cheese for topping. Fill jalapenos with the cream cheese mixture. Sprinkle remaining 1/2 cup cheese over top. Bake 18-22 minutes or until jalapeno is slightly tender and cheese is melted. SO delicious! Forget the traditional recipe on the grill, these surpass that! Thank you for a new craving go-to recipe!